The 2016 Formula One (F1) World Championship, one of the most prestigious open-wheeled car races in the world, started on March 20 with the Australian Grand Prix in Melbourne, Australia. 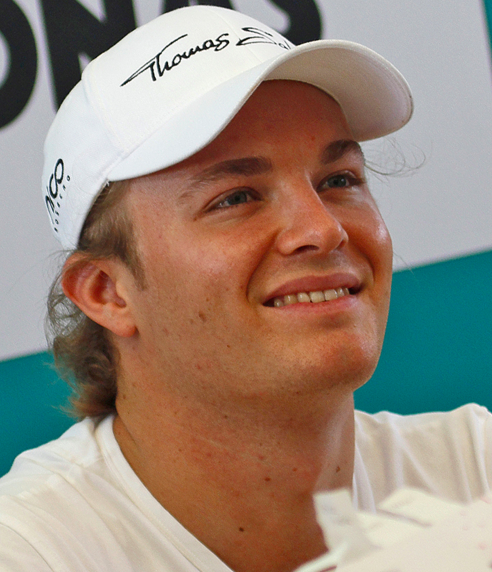 Nico Rosberg (image), a 30-year-old from Germany, won the race. He is with the Mercedes racing team. While racing, the cars of two drivers, Fernando Alonso and Esteban Gutierrez, collided into each other. The cars were moving at over 300 kph (180 mph). Alonso’s car flew off the track, rolled airborne, hit the barriers, and landed upside down. The car was destroyed. Alonso was able to walk out of his car without any help. However, he did suffer some injuries, and won’t be able to take part in the next Grand Prix race which will be held in Bahrain in April. So what is “Formula One” and what is a “Grand Prix”? F1 consists of a series of races called Grand Prix. The number of Grand Prix races held in a year can change. The results of all the Grand Prix races are combined to determine the overall winner of the F1 Championship. The length of each race is around 300 km (200 miles). F1 started in Europe in 1950. Its roots are from Grand Prix motor racing which started in the early 1900s in France. This year there are going to be 21 Grand Prix races. The last race will be held on November 27 in Abu Dhabi, the capital of the United Arab Emirates. Twenty-two drivers from eleven teams are participating. Here is a video with the highlights from the Australian Grand Prix.